I'll upload files during this week as i have another project to release (for nodes), so i'm working hard on docs and testings. Wowowow that's a serious board here ! How do you make all those interfaces work together in mysensors? Interesting board with interesting shape Excelent work as always! I agree with koresh about state of esp32 dev but imho it's going fast, and there are already plenty of raw arduino examples. that said it's already a while, since december if i'm not wrong, that we have some basic esp32 stuff working at Core Team (thx to @tekka, collaborating with me on this project ). But, using all these interfaces at same time won't be available until major release because as you know for the moment Mysensors only allows one transport layer at a time, so a major refactor. If the gateway was working with all those interfaces we would all be very happy! Can it recognize gestures, like you briefly mentioned in the introduction? @NeverDie no but it can be easily added with an extension board from aliexpress, or a custom board on the centered MYSX connector. For gesture i'll have something, but that'll be for my other "node" project. just to keep you up that everything is going very well. I'm a bit late on releasing but i preferred that people don't order it if there were some mistakes. I'm actually adding "last minute" features (so the delay) without increasing board size. one more RFM radio footprint : so we could do more combo. Like 1xRFM95 + 1xRFM69 or 2xRFM etc, plus the NRF24 and ESP32 of course! Do you mean SMD PA LNA or through hole ? on the proto board, it is nrf24 low power, smd version, actually. Works ok here but for better perf, i'm planning to use the PA/LNA through hole version with sma connector. So far (but not digged a lot) i've only seen PA smd modules with ipex (but would be better if i could fit sma) or chip antenna (lol). Are you thinking to an other reference, or have a favorite module?? @scalz I have those with chip antenna , soldered one board but didn't try it yet. I also noticed this week that my local shop sells low power smd version with a PCB antennad design similar to the one used in ESP12F which is pretty good. I will order next week and test the range. They have the same pad footprint than the SMD PA LNA (GND pin moved opposite side from VCC) so I could be interested in keeping this footprint for those leaving in appartments and that don't need a long range. I have a 130sqm appartments and I have few packets losses only despite very thick (30cms) concrete walls, using only basic nrf24 modules at the moment. So I will only need a bit of improvement to have perfect reception everywhere, if it can be done with the 3€ PA LNA with chip antenna or 2€ module with improved antenna it's great for me. @Nca78 oki. noted! To be sure, are you talking about these modules ? @scalz yes these are the ones. 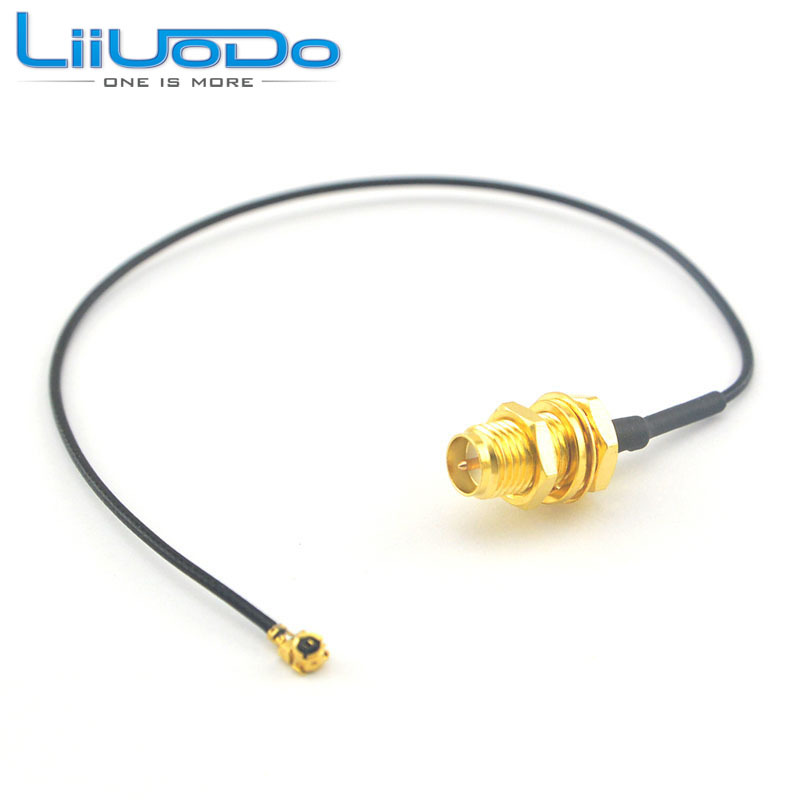 And they have versions with external antenna connectors also, amplified and even non amplified. They look genuine, where did you buy them? yes in theory they are genuine as they claim to buy the chip from Nordic. you can find those modules at ali or ebay. just search for the module ref you need. Check on the website they have a "sample" button or "order sample", it links to the module on their ebay shop, they use it for selling samples. @scalz how is the project going? I just need to rethink how I'll share all of this because there is quite lot of stuff.. (interesting imho). I hope you'll like them. I'm not sure if this helps, but I can say, that the MySensorsGateway code works with ESP32 in principle. I have tested it with at least two different boards. One ESP32 from Heltec with an RFM95 (SX1276) on-board and one barebone board @ranseyer and myself have designed (picture attached). For the barebone which we have designed, I used the board definition Nodes32s in Arduino. The only thing which I have defined in the Gateway-Project was the CS/NSS (chip select pin) as it is not where the code expects it as default. I know I don't give news about this project. First, I prefer to say, we can't share code for the moment..not very release-able. We are using completely custom code for this project. GW code is quite big, mysensors is an experimental version (sort of "v3"). Plus for all the features, sometimes it can need some tweaks in esp32 libs etc. for the moment, sw is still tied to this project&hw. That said we have lot of neat stuff working, hw choices changed a bit too. Well I cannot make a list for the moment, there are lot of features. Concept is autonomous simple network without need of a advanced controller, or when linkto/controller is down, that you can control and debug from your phone or computer. With step by step configuration, inclusion etc for easy getting started. Pics of the app ?? Teasing ON! I started to make some widgets.. there are also multiple filters for dashboard. Lot of settings, I let you imagine them.. there are a few dedicated steps by steps too, handy for starters (like my family, friends..). It's also possible to see all logs, downloading them, updating app files etc. thx guys, always glad to hear. With this project, I don't intend to replace a rpi controller of course. I'm using one too. This was something I wished for a while, also wanted nice tools (hw & sw) for debugging/using lot of transports. But more important, is family and friends, to easily get them started in HA. I think for the moment HA still looks a bit complicated for lot of people..often making people smile or looking at you with wide open eyes. Heard things like : "you're a crazy geek!" , "wow..well that's cool, sure, but I don't think I need this at home, or later maybe." "nice! but what I woud need is robot vacuum cleaner" "seems complex, what about privacy, hacking", "why do you want to datalog temperature, humidity.."
I know lot of smart non computer people who don't have time to become sysadmin, use CLI tools, json, rpi linux, blablabla. Or even if everything is in place, they wouldn't have time to learn how to use controllers+UI..pity. Also would your wife be able to add a timer, plan an action, add a new node in network, know where to click? is it too complicated to use?! So don't ask them to setup or tune their HA with Nodered! In fact they are much more interested in something lean and easy to use. Like commercial products do! with phone or computer, go to Halo UI app, and simply follow step by steps for first setup and pairing! I'm trying to make UI very easy to use. That's all, you now can interact with your network! no need to setup a rpi, nodered etc.. I'll try to make a video of the setup.